1-Metal Shell with louder voice,High temperature resistant design for desert . 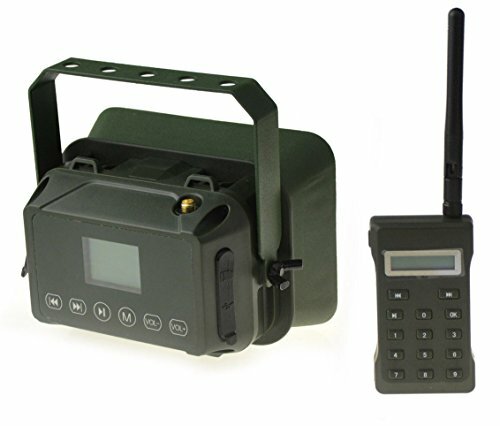 4-With Remote control for 500M. 6-Built in 60W loud speaker, max to 160dB. 7-Built in 323 newer bird voices. 8-Support external speaker (not included). 9-Support DC12V power supply (not included). 10-Comes with a portable outdoor bag. This caller does not have a power supply or external speaker, please kindly note. Metal Shell with louder voice,High temperature resistant design for desert . Long working time, High temperature resistant, can be used in desert. If you have any questions about this product by Up Force, contact us by completing and submitting the form below. If you are looking for a specif part number, please include it with your message.